A broad range of high capacity vacuum inlet traps that protect vacuum pumps in manufacturing processes for HBLEDs and power semiconductors are available from Mass-Vac, Inc. of No. Billerica, Massachusetts. MV Multi-Trap® Vacuum Inlet Traps are ideally suited for MOCVD, HVPE, GaN, and ALGaN processes that generate high volumes of particulates and condensable byproducts in manufacturing HBLEDs and power semiconductors. 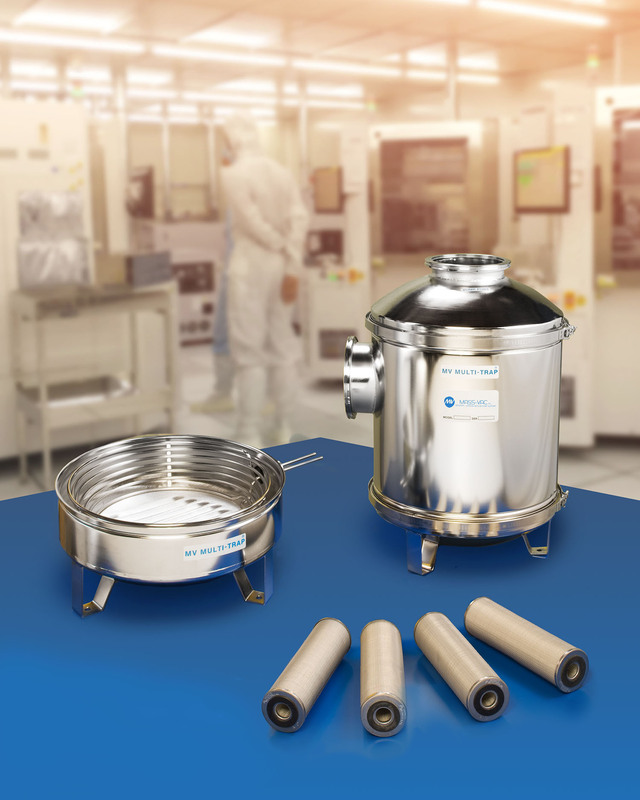 Featuring a knock-down stage plus two stages of user-selectable filter elements, these vacuum inlet traps are capable of up to 2,500 in3 of solids accumulation with > 99% efficiency for particulates and condensables. Offered in 10”, 12”, and 16” dia. models, including a cooling option to facilitate removing condensables, MV Multi-Trap® Vacuum Inlet Traps can be designed to accommodate different production processes and pump capacities to 2,000 CFM. They are available with activated alumina or charcoal filter elements for vapors, Sodasorb®, and other specialized elements for trapping other contaminants. MV Multi-Trap® Vacuum Inlet Traps are priced from $2,900.00, depending upon size and configuration. Price quotations are available upon request.